The first-ever edition of the European Supply Chain Start-up Contest has got off to a flying start, attracting entries from no less than 26 participants from all over Europe. Despite the considerable diversity among these young companies in terms of their scope and solutions, one thing they all have in common is rapid growth. They are tangible proof of the huge amount of supply chain innovation taking place in Europe. 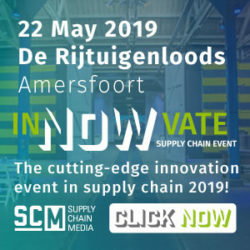 The winner of the award for Europe’s best supply chain start-up will be chosen during the inNOWvate Supply Chain Event on 24 May at the De Rijtuigenloods venue in the Dutch city of Amersfoort. The competition, which is only open to companies that were founded a maximum of five years ago, has so far attracted entrants from nine different European countries. The Netherlands and Germany are the source of the most candidates, with nine and six start-ups respectively. The other applicants come from Belgium, France, Spain, the UK, Switzerland and Israel. This competition to find the most promising supply chain start-up is being organized by Supply Chain Media, publisher of the Dutch-language Supply Chain Magazine in addition to Supply Chain Movement. Earlier this year, Supply Chain Media analysed 53 European start-ups and published a Maturity Matrix showing their relative positions in ten solution categories, ranging from online management of upstream suppliers through to last-mile delivery to consumers. The study also revealed that the key supply chain start-ups mainly come from Western Europe, Scandinavian countries and the Baltic States. There is a very broad spread of entrants for the Start-up Contest, both in terms of the maturity of the companies and the solutions they offer. The number of employees varies from four to 81, and the average size of the workforce is 25 people. The most popular solution is an online platform for matching supply and demand for road freight, which is offered by seven candidates in total, while three start-ups provide a solution related to last-mile deliveries. These two categories also employ the largest number of people. 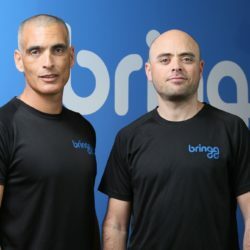 Between them, the 26 entrants have received a total of €112 million in venture capital from investors since the outset. The seven start-ups for road freight account for the lion’s share of this (€45 million worth of capital), followed by the start-ups with solutions for last-mile deliveries (€16 million worth of capital). Companies that have received more than €2 million worth of capital can also be referred to as ‘scale-ups’. The entrants expect to generate a total of €87 million in revenue between them this year, with the individual turnover forecast per company ranging from €100,000 to an incredible €30 million. 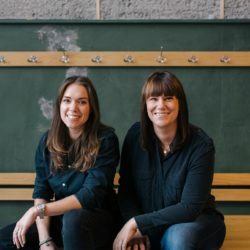 On average this equates to €133,000 worth of revenue per employee across the board or, if the results of the two extremely fast-growing start-ups – Everoad and InstaFreight – are excluded from the calculations, an average revenue of €78,000 per employee. 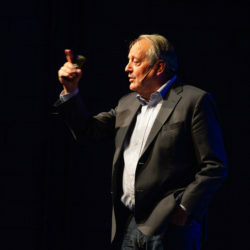 Five finalists will pitch their companies to the delegates at the inNOWvate Supply Chain Event on 24 May in Amersfoort, including an extensive question-and-answer session with the expert judging panel. Attendees can also vote for their favourite supply chain scale-up. The other start-ups will showcase themselves at their own stands and in a presentation room during the event.